Well this year Wales has taken the bold step of charging for plastic bags. You can get more information about this from Cynnal Cymru's website. The idea is obviously to reduce plastic waste and get into bringing your own bags to the shops. So we thought it was a great idea to give you the chance to get some really cool canvas bags designed but our own fair hands. This is my design which is still in progress. 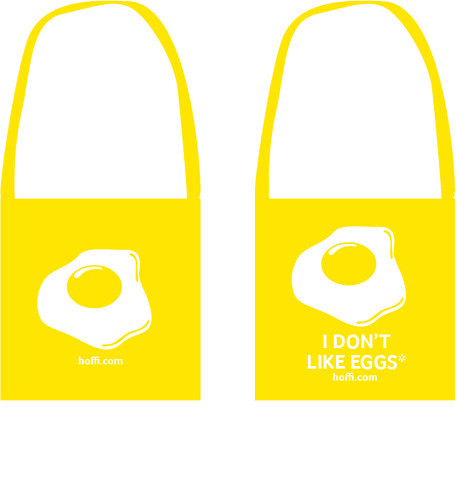 I am wrestling with the idea of whether I should also have 'I DON'T LIKE EGGS' written large on it. More bag designs form the rest of Hoffi to come very soon. Which one do people prefer?? ?